The Spirit of the Lord is upon me,because he has anointed me to bring good news to the poor. He has sent me to proclaim release to the captives and recovery of sight to the blind, to let the oppressed go free,to proclaim the year of the Lord’s favor. This morning our lectionary has done me a favor by serving up one of my very favorite passages from scripture, this gospel we just heard from Luke, where Jesus speaks to an astonished crowd in the synagogue. Jesus has just returned from forty days of fasting and praying in the wilderness—we’ll hear all about those forty days in a few weeks—and makes this proclamation: God’s mission, as told to the prophets many generations ago, is my mission. This is essentially what he says when he picks up the scroll, which just happens to be Isaiah speaking about God rescuing and redeeming his beloved people. “Today this scripture has been fulfilled in your hearing,” says Jesus. The chutzpah of what Jesus does may not come across upon first reading. Imagine that someone we vaguely know, but haven’t seen for a long time, comes in here, maybe a young woman with no formal education, picks up a bible, and stands where I’m standing. Imagine that she reads, as if at random, the first verses of the Gospel of John: In the beginning was the word, and the word was with God, and the word was God. Then she says: “Today this scripture is fulfilled in your hearing. You’re looking at the Word of God.” We would be speechless, too. What does Jesus mean when he says “today this is fulfilled in your hearing”? Last time I checked, there were still lots of poor people around, waiting for good news, captives imprisoned, and people suffering from all kinds of blindness and oppression. In the scripture Jesus quotes, the prophet Isaiah says God has sent me to proclaim good news to the poor. What has been fulfilled on that day in the synagogue when Jesus picks up the scroll is the claiming of identity, the anointing, the sending forth to proclaim good news. Jesus is saying God meant it when he said he was sending someone to set free the captives and give sight to the blind. Here’s the catch: when we follow Jesus, we follow Jesus in being sent. God doesn’t just sending Jesus to do this, he sends Jesus so that we might all do this. What it means to proclaim good news and set prisoners free means different things for different people. During this Epiphany season I’ve invited people to talk about how it works for them in daily life. I’m having so much fun with this, I want to do it every Sunday. Today it’s a treat to have Maggie Gardner come up here. When I was a young student, bright and idealistic (and I’m sure many of you can relate to this), I felt like I could really hear God’s call, and that call was really clear: I was to GO FORTH AND SAVE THE WORLD. Now I’m all growed up — am I saving the world? Meh, not really. I’m a lawyer; I work for a judge. I can safely say that most of the subject matter of our cases … matters: criminal trials, environmental disputes, work place discrimination, civil rights complaints, you get the picture. But at the end of the day, I’m a bureaucrat. I shuffle papers. I spend my days scouring administrative records, reading legal briefs (which, you may be surprised to hear, are not always page turners) – my days are filled with rules and procedures. Not exactly the work of superheroes. But that’s Ok. It’s not that I’ve given up on my call to save the world. I haven’t. It’s more that, as I’ve grown older, as with many things, that call has grown more nuanced. It’s no longer, “GO FORTH AND SAVE THE WORLD,” but “Go forth and do your part to make things better today than they were yesterday.” It is a daily call to put my best effort into any work that I do, any interaction that I have, in the belief that the sum will be greater than the parts. Allow me to elaborate just a bit. I am here to say: I think bureaucrats are great. I love bureaucrats. Seriously: Our country could survive a major disaster because it is run by bureaucrats – because so many people make all of its many different pieces work. The same goes for our community, any community: it works, and will keep on working, because many different people do many different things very well. So this is how I live my Christian life: by doing what I do as well as I can, to keep moving the ball in the right direction. And I’m not just talking about the Protestant work ethic here. I’m talking about – when I do my work – feeling like I am fulfilling God’s creative impulses; like I’m really using my blessings – my intellect, my health, whatever it might be that day – to do something useful. It’s about crossing my “t”s even when no one is looking over my shoulder. That’s not compulsion, crossing my “t”s even if no one’s looking – and the good Lord knows I can be compulsive. What I’m talking about is pouring myself into whatever is that I have to do, in the hope that this bit of work I am doing right now might matter. Maybe it won’t. Maybe it will just end up in the dustbin of history. But I choose to act as though it will matter because I don’t want to waste the chance that it might. Maybe it’s a big thing – applying for a new job, making a difficult decision, choosing to take care of someone. Maybe it’s a small thing – even just to get up out of bed on those dark winter mornings. It all matters – it all can matter – if we pour ourselves into it. Come, labor on! Away with gloomy doubts and faithless fear. No arm so weak but may do service here: By feeblest agents may our God fulfill his righteous will. Thanks, Maggie, for your message, which is perfect for an Annual Meeting Sunday. Bring good news to the poor and release to the captives. Help the blind to recover their sight, and let the oppressed go free. For with you is the well of life; and in your light we see light. There are many components to this rich and often puzzling gospel story. There is the interaction between Jesus and Mary, mother and son. As the mother of a teen who wants nothing to do with me, I can relate. There is the dynamic duo of the steward and the bridegroom, seeking but not finding an earthly explanation for all that good wine. The real stars of the story are the disciples, who immediately recognize God’s glory in miraculous abundance. In today’s gospel, the disciples are the ones who “get it.” They get that what God is up to in Jesus is abundance and surprise. They see Christ’s glory. One might even say they have…an Epiphany. The day after I was ordained a priest, I was to say mass for the very first time, at a small weekday service. Just before the service began, my priest pulled me aside and said: you know, of course, that the first time you say mass the altar guild just puts water in the flagon instead of wine. Now that you’re ordained, you’re supposed to be able to turn water into wine. But, as the first disciples knew intuitively, and as I am grateful that all the disciples gathered here know, it is God, not the steward or the bridegroom or the priest, who performs miracles. In this story, Jesus does what he always does: he becomes the host, and reveals divine hospitality and generosity. 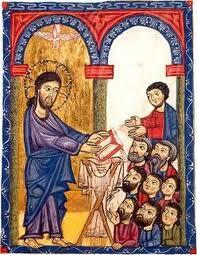 Gifts of abundance and joy, like those we experience in today’s gospel, don’t need explanation or rationalization. When a community shares its gifts, the community grows. It is impossible to truly accept God’s abundance without growing spiritually and every which way. This is true of the disciples and all the guests at the wedding banquet, and it is true for us. It is very common for parishes to say that we want to grow. It is equally common that there is no growth without change, there is no change without some loss, and there is no loss without pain. Mary is reminded in this early gospel scene, that she will lose her son. The disciples, realizing that Jesus is truly Lord of all, lose a certain freedom and autonomy when they choose to follow someone like him. 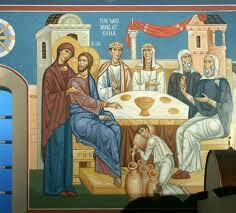 The bridegroom loses any illusion that he is in control of the banquet. And we—in order to accept the extravagance God has in store for us—we also lose these things. In Jesus’ time, abundance of wine was a sign of the new age; this miracle at Cana announced the beginning of a new era of abundance and grace. When we reject change, we reject the possibility of God’s abundant, extravagant grace. We’ve gotten pretty change-tolerant around here, for which I (and, I bet, Jesus) am very grateful. Much of God’s abundance and extravagance is right under our noses. In this Epiphany season, the light of the Epiphany star symbolizes many things. One is God’s call to manifest Jesus in the world. In honor of this Epiphany calling, I have asked some people to share a snippet of their ministry in every day life and work. This morning, I am privileged to share this time with Linda Goertz. And here’s what Linda had to say…. As a retired person, I don’t have an official occupation, but I’m learning the unexpected truth that part of my calling is simply to enjoy God and God’s creation. And for me, part of that holy enjoyment is watching birds. 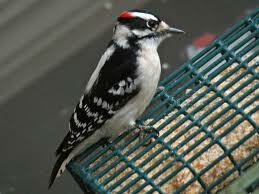 I’m not an expert birder; my identification skills are mediocre. I don’t even have a list of all the birds I’ve seen. What I am, is an appreciator. I love it when I realize that what used to be an unnoticed brown blob in my consciousness has turned into a living being with a name and a vibrant presence, with a voice I can recognize. Sometimes when I’m watching or listening to a bird, I just can’t stop smiling. Even at home, I can be busy running from task to task and I’ll find myself stopped at the window, looking at a downy woodpecker visiting the suet, or some feisty Anna’s hummingbirds chasing each other. I like the way I am around birds; I’ve learned to be silent (a big deal for me), to approach with care, to NOT move like a predator. There is no agenda between me and the kinglet that pops out of the hedgerow; we don’t expect anything from each other, we don’t demand anything. He fixes me with his dark little eye and flits off; he neither likes nor dislikes nor judges nor idolizes me. He is, and I am, and I can feel my breathing even out and my shoulders relax when I see him. This happens over and over when I see these creatures living their lives without all the overlay we humans carry – no angst over the past or anxiety for the future: just living, intensely present, completely themselves. Fully alive – the way God enjoys us. It’s true that we should be “doers” of God’s will and not only hearers – but I think we are also called to simple enjoyment, to delighted gratitude for what our Creator pours out for us. And here’s how Sara finished…. The steward says: Everyone serves the good wine first…you have kept the good wine until now. The story is not about delayed gratification, but about joyful surprise. What joy and surprise does God have in store for us? Today’s Gospel tells us that the best is yet to come, and the best is here right now. We can have it all. As we come to this banquet table, let us be open to God’s extravagant grace, and when we leave this place, let us share our abundance like the shining light of the Epiphany star. I have called you by name, you are mine. When you pass through the waters, I will be with you. These words bookend the season of Epiphany, like the antiphon in an evensong canticle, or the chorus in a Greek tragedy: we hear them today, during this surreal scene of Jesus’ baptism, which marks the beginning of his earthly ministry. We hear these words again during an even more surreal scene: the Transfiguration, which signals Jesus’ transition from teaching and healing to making the journey to Jerusalem and the cross, a journey we take with him in the season of Lent. Epiphany is sort of an “accordion season”; some years it’s longer than others. This year, Epiphany is short; there are only four Sundays between this first Sunday after the Epiphany, and the Last Sunday of Epiphany on February 10. Epiphany is, as I mentioned last week, the season of manifestation. Jesus manifests his identity and his ministry, and we are invited to do the same. So what the heck do I mean by that? In ordained ministry, and particularly in seminaries crawling with people who are not yet ordained, really creepy phrases get thrown around, like “ministerial identity.” I’d like to suggest that each of us, every single one of us here, has a “ministerial identity,” although it’s fine with me if you never use this phrase as long as you live. But imagine that there is a recipe for your identity as a servant-follower of Christ. The exact list of ingredients is unique to each one of us, but there are basic ingredients that must go into almost every recipe. These ingredients show up in most of our readings this morning. One of these ingredients is hearing God’s voice. Luke tells us: A voice came from heaven. That’s the surreal part. Imagine the movie of Jesus’ baptism. Sort of like Oz, before Toto pulls aside the curtain. Only here, there’s no curtain. Today’s psalm is all about God’s voice. …and so on. God’s voice is everywhere, especially where we least expect it. Remember the prophet Elijah? He listens for God in the wind and in an earthquake and in fire, and he can’t hear it. We don’t always hear God’s voice where we think we should. Finally, Elijah listens to the silence, and there he hears the still, small voice of God. A friend of mine recently shared about the profound experience of hearing God’s voice in ordinary, everyday voices of people he knew and people he didn’t know. Another ingredient in our identity as God’s beloved followers of Jesus is prayer. Prayer sets Luke’s story of Jesus’ baptism apart from other versions. Luke tells us that the heavens opened “when Jesus had been baptized and was praying,” because that’s what baptized people do. Peter and John do it before ministering to the people of Samaria, Jesus does it, we do it. Before, during, and after receiving our identity as followers of the way, prayer is part of how we move through the world belonging to God. For what or for whom do you pray, right now? [pause] If there’s a name or a though, remember it when we get to the Prayers of the People. Try saying it out loud. A third basic ingredient in the recipe of discipleship—not that there’s an order—is the presence of the Holy Spirit. The spirit is that manifestation of God that we cannot smell or see or taste, and yet it is everywhere. The eye-witnesses to Jesus’ baptism cannot even really identify what it is they’re seeing. They knew it was in bodily form, like a dove. Kind of. The Holy Spirit is indefinable, yet real. We know it when we see it. Or when we feel it. Have you ever seen or felt or heard the Holy Spirit? Tell someone about it at coffee hour today. The Spirit is the ether in which we live and move; the air we breathe. 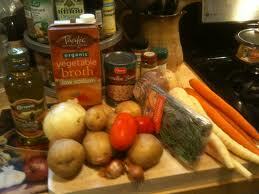 Or, to continue with the culinary metaphor, it is the soup stock in which we simmer. Being a member of the church is, by definition, sharing in the Spirit. The Spirit is the glue that holds community together. Finally, the piece de resistance in our recipe for being followers of Jesus, is our identity as God’s beloved, called by name. This is, of course, what God does for Jesus in his baptism. He doesn’t call him by name, but he says you are my son, the beloved. And he says those words we all long to hear: with you I am well pleased. In today’s reading from Isaiah, God says to his beloved community: I have called you by name, you are mine. When you pass through the waters, I will be with you. Being God’s beloved changes us. Being God’s beloved says that we belong to God. We don’t have to navigate life on our own steam. Belonging to God gives us a mission statement: to do what God would have us do, and to follow Jesus through the waters of baptism into the rest of his mission and ministry. This is our new identity. What is unique is what we do with the identity that is created by each of these ingredients. Over the next few weeks, we’re going to hear from some other voices about how we express this baptismal identity as we move through our lives. The Sunday after the Epiphany, the Sunday when we celebrate Jesus’ baptism, is a baptismal feast, which means that even if we are not actually baptizing anyone, we get to renew our baptismal promises. It is these promises that I often point to as our “handbook for being a Christian.” It is how we live out this covenant that expresses our own identity as servant followers of Jesus. Dear people of God: In holy baptism we follow the pattern of our Lord Jesus Christ. As he came up from the water he was anointed by the Spirit of God and designated as God’s Son. So we also are anointed by the same Spirit; we are reborn and adopted as sons and daughters with whom God is well pleased. Let us now renew our own baptismal covenant.